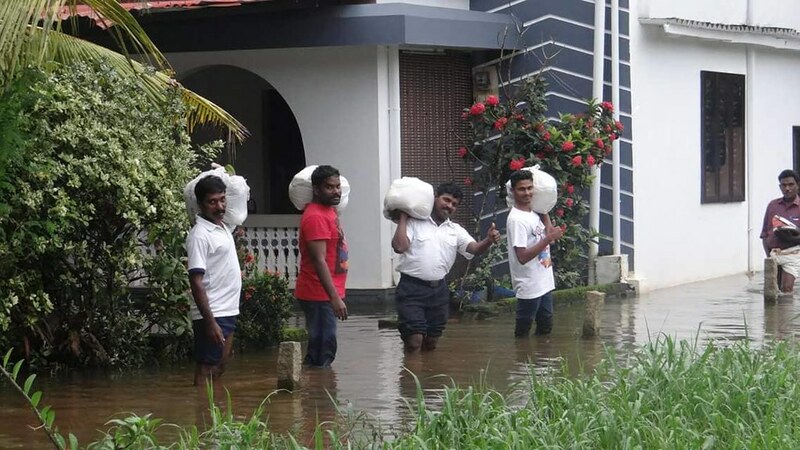 Initially, clean drinking water and emergency food packages were distributed – in challenging conditions – to 6,000 individuals in the flood-affected areas of Kottayam, Thiruvalla, Mavelikara and Peermade Divisions. Similar provision was made for survivors of the mudslides which damaged or destroyed scores of houses and businesses in the Kozhikode District. Although the location is 150 kilometres distant from the nearest Salvation Army centre, the emergency response team was able to help 30 families in this area rebuild their homes. The Salvation Army’s territorial commander for India South Western, Colonel Nihal Hettiarachchi, notes that although the needs are great ‘this act was very helpful to wipe away their tears, and it gave them hope and a sense of security’. To support the efforts of The Salvation Army in these challenging times across the region, please visit the South Asia disaster appeal online.